Bottom Line: Jenny Craig is a long-standing weight loss company that has helped thousands of people reach their weight loss goals. The program uses expensive food to help you learn portion sizes. 2. History of the Brand: How Did It Start? 6. Who’s Jenny Craig For? 7. How Does Jenny Craig Work? 8. Does Jenny Craig Work? 13. Any Jenny Craig Lawsuits? 16. Would Jenny Craig Work with Your Diet? 17. Verdict: Would I Recommend Jenny Craig? If you’ve watched TV at any point in the last 30 years, you’ve probably heard of Jenny Craig. This weight loss program is one of the most popular and well-known ones out there, especially because it promises rapid results. The program claims you can lose up to 16 pounds in just four weeks, which is a bit faster than the CDC recommends for healthy weight loss. I then decided to try the program myself and see if science supports their claims, what the nutrition profile looked like, if it was safe, how easy to use it was, and finally if it was a smart purchase. I tested to see if it actually delivered results, but I also researched the science behind it, studied the ingredients to see how safe it was, how convenient it is, and whether or not it would be a worthwhile purchase for you. And my verdict… is definitely something that will get people talking. CLASSIC LASAGNA WITH MEAT SAUCE. If you’d like to try it for yourself, Jenny Craig can be purchased through Amazon or their Official Site. Jenny Craig is a weight loss system named after the company’s founder. She developed the program as a result with her own struggles with weight loss after giving birth of her first child. 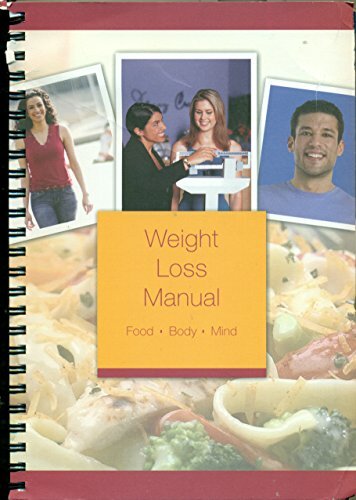 The three-part plan is focused on teaching people to eat smaller portions of the foods they like, boost their energy levels, and improve their mental outlook so they can lose the weight and keep it off. Jenny Craig was first launched in Australia in 1983 and made its way to America in 1985. Since then, it has become massively popular and remains a contender in the diet space despite the countless other programs and products that hit the market on a regular basis. Nestle bought the company in 2006, only to turn around and sell it to a private equity firm in 2013. Faster results with the same personal support. Jenny Craig focuses on providing premade foods, along with nutritional advice, exercise guidance, and support to keep you mentally on the right track, claiming to provide things like positive affirmations. Let’s talk cost a minute, shall we? Jenny Craig is expensive, costing an average of $20 per day. Sure, you’ll get to eat 6 times a day, but that’s $140 a week (over $500 a month!) for one person – not including the fresh fruits and vegetables you’re expected to include as part of the program. When you’re making meals for a family, this just isn’t practical for a lot of us. Remember, you’re also paying a membership fee, and the food isn’t part of that. Ingredients vary by the food product. Looking at the ingredients for the Triple Cholate Cheesecake, I found numerous unhealthy ingredients, which I’ve highlighted here. Nutrients: fat free cream cheese (cultured skim milk, whey protein concentrate, sodium tripolyphosphate, sugar, milk and cream, salt, color added, xanthan gum, carrageenan, sodium phosphate, artificial flavor, carob bean gum), sugar, nonfat sour cream (cultured milk, modified corn starch, microcrystalline cellulose, propylene glycol monoesters, gum arabic, gelatin, color added, cellulose gum), semisweet chocolate chips (sugar, chocolate liquor, cocoa butter, dextrose, soy lecithin, salt, artificial flavor), maltodextrin, egg whites, cocoa alkali processed, and less than 2% of modified tapioca starch, natural and artificial flavor, soybean oil, wheat flour, water, corn syrup, coconut oil, palm kernel oil, modified corn starch, soy lecithin, salt, caramel color, corn starch, baking soda, potato starch, chocolate liquor, whey. Sodium tripolyphosphate is a preservative that has been linked to lung cancer. Soy lecithin is particularly harmful to those with soy allergies. And corn syrup is a potentially harmful sugar substitute. While these foods may make it easy to follow a diet, they aren’t necessarily as healthy as they claim to be. There is no published information about where Jenny Craig products are manufactured. Jenny Craig is for adults who are looking to lose weight. If you have any medical conditions, you should first speak to a medical professional to make sure you can safely follow the program. Jenny Craig products work by teaching you to eat what you love, in smaller portions. You’ll rely heavily on their food in the beginning, and gradually shift your diet to more of the food you make on your own. It also encourages physical activity and mental wellness, for a three-prong approach to weight loss. If you follow the program as directed, you should experience some weight loss. However, if you don’t maintain those healthy eating habits without the official diet food once you reach your goal weight, you will more than likely see that weight return. Several studies have been done with Jenny Craig. NO COUNTING, COOKING, OR MEAL PREP. One showed that women who lost at least 10% of their body weight while on the program had lower insulin, cholesterol, and triglyceride levels, and less inflammation even two years later. This is why the diet is thought to help lower the risk of heart disease. It’s thought the program may also help balance blood sugar levels, making it a good choice for those with type 2 diabetes. Following Jenny Craig helps dieters learn about portion size and balance in their diet. It’s easy to follow and encourages people to add fresh produce to their diet, which is a great way to get healthy and curb hunger. There’s also social support, which helps keep people on track. Some of the products taste okay, but most people aren’t that impressed by what they’ve tried. For what you pay for the food, it could certainly taste better. We encourage you to take a close look at all the ingredients before you order the food in your kit so you know what you end up with is food you can eat. This is especially true for customers with known food allergies. There are no official Jenny Craig product warnings, aside from food allergy concerns. 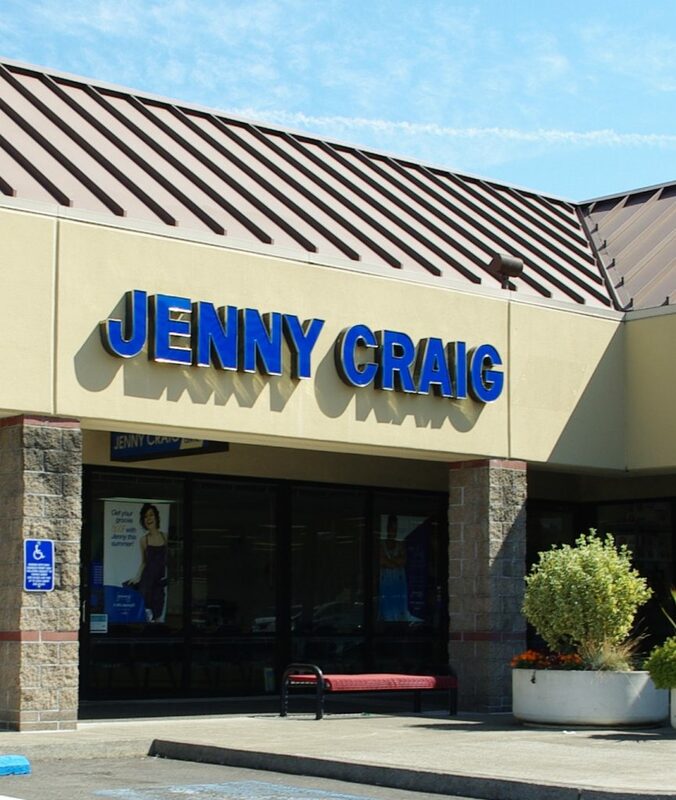 WIth a company that’s been in business for decades like this one, it’s not all that shocking to see Jenny Craig has been involved in multiple lawsuits. In 1994, the company settled a class action lawsuit that alleged misleading advertising and improper business practices. They agreed to pay out $10 million in cash and give away $36 million in merchandise, to customers who used the program between 1987 and 1990. The suit also alleged the diets could lead to gallbladder disease. Though the company settled, it did not admit to any wrongdoing. Interestingly enough, in 2013, comedian Mara Shapshay filed a negligence suit against Jenny Craig, saying their diets lead to 1,000 gallstones, requiring her to “undergo multiple surgeries.” Given that I was unable to find anything about how the case was settled, I cannot comment on the outcome. In May 2018, a new class action lawsuit was brought against the company alleging the company is in violation of the Telephone Consumer Protection Act because it has been sending customers “annoying text messages” without consent. When this case is finalized and a settlement or verdict is reached, I’ll update this review with the outcome. The official Jenny Craig website paints a positive picture, but third-party websites give you a much better look at what real people experience. I think for the most part thought the food was really good. I seemed to go about 200 calories over every day because I was starving all the time. I did lose more weight than in previous times, just a little slower. To other reviewers, of course, it is processed… it is frozen dinners. I actually saved money for groceries. The downfall is I don’t like shakes, milk or any milk products and that was the majority of breakfast foods. I would join again in a minute if they would substitute… Checked a couple of times and they wouldn’t without charging me extra… too bad. I recently rejoined Jenny Craig after reading a publicity saying that I could rejoin for free and get $200.00 of food. I have had good results in the past so I thought it was a good idea. On my first appointment, I let the person in charge know that I would prefer a vegetarian menu. I then realize the choice of food is very limited and I will have to repeat a lot of the food during the same week. I decided that in that case, I would make a few changes to my menu. I am told only 3 changes are possible. Also, I have to order absolutely everything that is in the weekly menu, snacks and desserts included if I want to get my discount, $17.00. The $200.00 are actually divided into several weeks. This was only disclosed after I had made my food order. Jenny Craig member since 2010 and maintained my membership over the years in case I needed it. This is my 3rd successful weight loss (24 lbs) on Jenny Craig and this time it’s for keeps – I plan on continuing lunch breakfast with dinners on my own, and weekly appointments to stay on track. I’m 56 years old and my health demands that I keep it off. 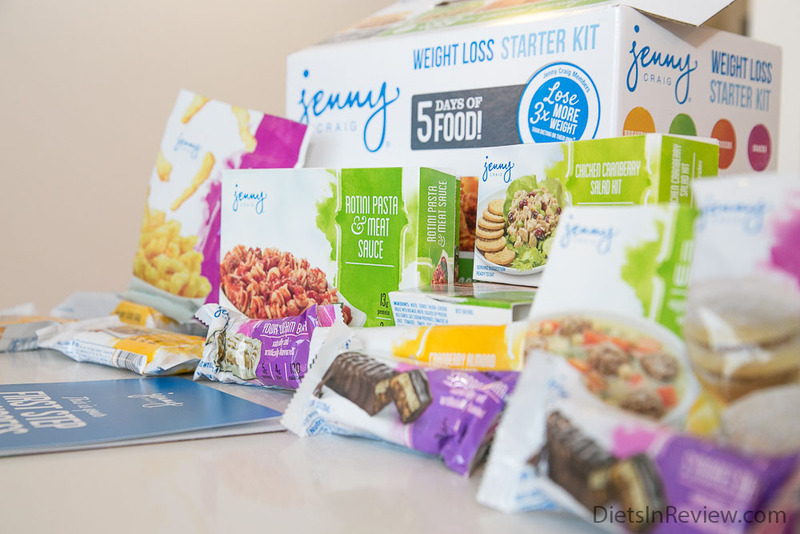 Jenny Craig competes with companies like Weight Watchers and Nutrisystem. Nutrisystem uses premade meals, while Weight Watchers has centers that provide counseling, so this program is like a hybrid of the two. You’d think I’d be able to recommend a company with such a long history, but this time, I just can’t do it. Charging people a membership plus the cost of food makes it unattainable for a lot of people. And when you’re promoting highly processed food under the guise of health, I just don’t think it’s a good thing. That being said, there are people who’ve had success with the program. You may even know one or a few of them. If you’re still interested in trying their products, there are a lot of promotional codes, like this one for $25 off your order, out there so you can try for yourself. My two cents? Get as much information as you can about a product before you try it, and don’t set the bar too high. Jenny Craig can be purchased through Amazon or using their Official Site.